Shopping for Horror: Halloween Bobble Heads? Bobbling evil! 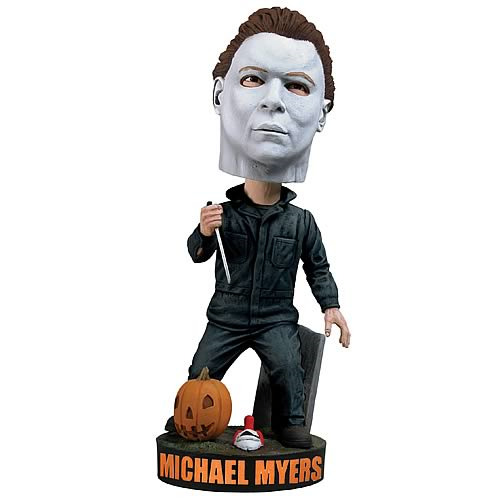 NECA brings you Michael Myers (aka "The Shape") from John Carpenter's 1978 horror classic Halloween as a bobble head. Standing 8-inches tall, this disquieting head knocker is hand painted, made of heavy ceramic-type resin, and comes in a display window box. He even brings his pumpkin. Good ol' Mikey!